We all have challenging situations (AKA problems) to deal with. We may get stuck, angry or defeated with the difficulties in our lives. Feeling stuck with a situation or angry about what someone has done, or defeated by the failure of a project, are the most obvious signs that something is wrong. But it’s more complicated than that because we may also have a problem with the problem. Humans like to have thoughts and feelings about their feelings. Our thoughts and feelings about a problem may add to our troubles. We could be angry about being stuck, guilty about being angry or resigned to feeling defeated. These thoughts & feelings about the problem, sometimes called ‘meta-states’, can be the unseen glue that helps hold the problem in place and makes it difficult to change how think, feel and act in that situation. 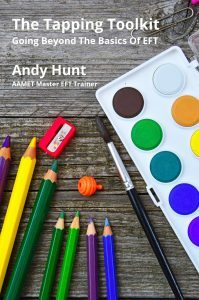 In this month’s EFT Café – “Meta Tapping: Releasing The Problem With The Problem” Andy Hunt will demonstrate a new tapping technique to soften the problem with the problem which makes it much easier to tackle the original problem with standard tapping techniques. 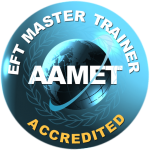 This EFT Café is on Wednesday 10th February, 2016 from 7pm to 9pm at St Oswald’s Hospice Teaching Centre, Gosforth, Newcastle upon Tyne and costs just £10.